Ideal for fishermen, boaters, drivers and other sports devotees, the Polarized lenses are a wonderful invention. These are charismatic lenses that shield your sensitive eyes from the unpleasant and blinding glare. The story below will tell you how on the one hand the polarized lenses cut down the glare and on the other hand act as a perfect fashion accessory to beat the scorching sunlight falling on your eyes. 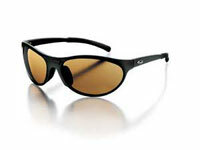 Polarized lenses have done wonders for fishermen and boaters who have to bear the glare from water every now and then. Even the sports enthusiasts and drivers find it easy to perform and drive respectively after wearing sunglasses with polarized lenses. Polarized lenses are the first preference of skiers, golfers, bikers, joggers and all those people who wish their eyes to remain unaffected by glare. Thus polarized sunglasses are growing more and more popular each day and are becoming need of the hour. Polarization is akin to a chemical venetian blind that arranges light in such a manner that a person can see through glare even. The polarized lenses particularly good ones therefore eliminate cent-percent glare falling on them. Be it water, fog, snow, rain or early morning dew, the reflective properties of all of these are eradicated by the polarized lenses. Actually the light reflected from flat surfaces such as road, standing or smooth water is horizontally polarized. This horizontally polarized light is then absorbed by the vertically inclined polarizers in the lenses. Polarized lenses are a definite boon for the fishermen who confront glare from sun above and water below. The polarized lenses can effectively reduce the glare of the sun and in fact remove it completely depending on the height of the sun. The reflections from water are also blocked and the sea appears to be more clear and transparent. Actually the polarized sunglasses used by fishermen have polarized filters in them. The transmission axis of these filters is vertically oriented in order to obstruct the light which is reflected by the plain surface of water. So a fisherman might move his head up, down or in any other direction except leaning, the filters will work in the right way. As a result the fisherman sunglasses are widely used by those devoted to water sports and even drivers. According to some people the polarized lenses cannot reduce the glare reflecting on the snow-covered surfaces due to sunlight. So these lenses are not meant for downhill skiing and the like. But several other people contend that snow glare caused by sun can be easily checked by the polarized lenses. Similarly some people find polarized lenses ineffective in case of liquid crystal displays or the LCDs for these crystals remain unchecked if viewed from a different angle through the polarized lenses. However, polarized lenses have successfully proved their worth. Their efficiency is the cause of their widespread popularity and use.